As in the rest of the Balkans, Albania’s post-WWII narrative is of a communist partisan struggle against foreign occupation and, ultimately, of a communist takeover. Yet, Albania’s story is unique among Eastern European countries. Dictator Enver Hoxha’s schism first with Yugoslavia and later with the Soviet Union led him to proclaim that the Albanian version of Marxist-Leninism was the only true path to communism. Practicing a strenuous form of Stalinism for nearly 50 years, Albania denounced most Eastern European socialist countries as revisionists, and maintained a strict observance of Hoxha’s own brand of socialist realism. Albanian communists determined that the self-isolation of their country was the only way to implement their puritan brand of state socialism. As a result, foreign influence on Albanian cinema was limited to minute cracks in the thick curtain that separated Albania from the rest of the world. Television broadcasts from neighboring countries (especially from Italy), or rare personal journeys of foreign film professionals to the country were the only moments of rupture. The almost complete reliance on socialist realism in filmmaking during communism has caused many Albanians to reject their own cinematic history as one long ideological indoctrination. More than twenty years have passed since the fall of Hoxha’s regime, yet there is still much resistance to a re-examination of Albania’s state sponsored film productions. For this reason, many have languished in inadequate vaults and are now in danger of being lost forever. The Albanian Cinema Project is working to preserve and restore these films and to open up an international public dialogue that will encourage Albanians and others to view these films in a different light. The very first motion picture theater in Albania was built in the northern city of Shkodra in August 1912 by an Austrian distribution company three months before Albania declared independence from Turkey. Made possible with the efforts of acclaimed painter and photographer Kole Idromeno, the theater remained open until the outbreak of World War I in 1914. 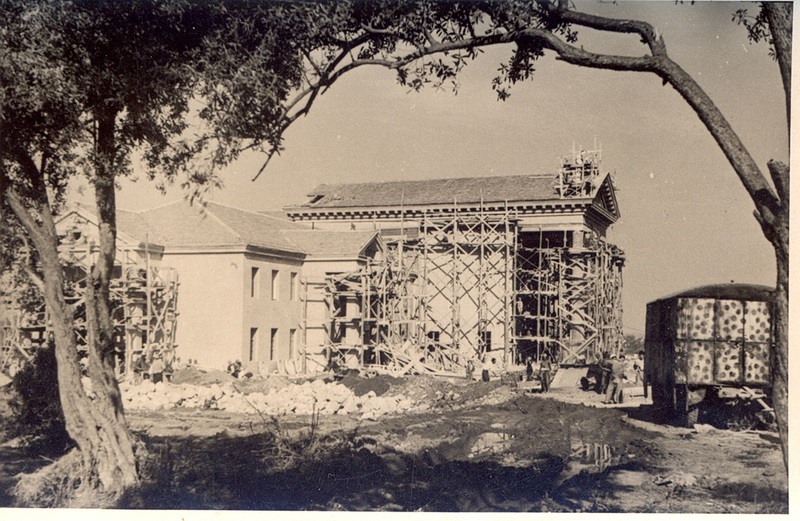 In 1920, the Perparimi (Progress) Theater opened in the southern port city of Vlore, followed by cinemas in Shkodra, Berat and the capital city of Tirana. By the time the Italian fascists invaded Albania, there were 18 movie theaters in the country. During the Italian occupation, there were several attempts to start a film industry. 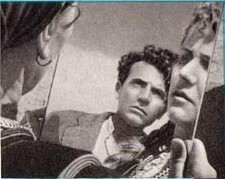 Before the Germans took over in 1943, a young cineaste, Mihallaq Mone (1917-1984) shot several documentary shorts and even attempted to direct the country’s first feature– TAKIM NE LIQEN (Meeting at the Lake)– with the leading star of Romanian film, the Albanian actor Kristaq Antoniu. The Albanian film industry finally got underway on July 10, 1952 with the inauguration of the Soviet-built ‘New Albania’ film studio complex (Kinostudio) on the outskirts of Tirana. At this time, students were sent to Czechoslovakia and the Soviet Union to begin their filmmaking studies, among them the future directors Dhimiter Anagnosti, Viktor Gjika and Piro Milkani. A notable period in Albanian filmmaking followed, with the first entirely homegrown production, Kristaq Dhamo’s TANA (1958) and continued through the next decade with Hysen Hakani’s moving DEBATIK (1961) and TOKE JONE (Our Land, 1964). In 1967, the partisan drama NGADHNJIM MBI VDEKJEN (Triumph Over Death), co-directed by Gezim Erebara and Piro Milkani, introduced the leading actors Timo Flloko and Rikard Ljarja to the big screen. The two decades of transition since the 1991 collapse of the communist system have been difficult for Albanian cinema. Though the former ‘New Albania’ became the Albafilm Studios, production was reduced to a trickle by the 1990’s, with an average of one or two films produced annually. In 1996 The National Center for Cinematography(QKK), sometimes referred to as the National Film Center, which was created by the Albanian government and decreed according to the “Law on Cinematography nr. 8096, datë 29.04.1996, article 3,” also took up residence in the former Kinostudio Despite this difficult transition, several talented filmmakers have emerged eager to give voice to the Albanian experience, among them Fatmir Koci (TIRANA YEAR ZERO, NEKROLOGJI), Gjergj Xhuvani (SLOGANS, DEAR ENEMY) and Bujar Alimani (GAS, AMNESTIA).